Condition report – It needs a heavy detail inside due to smoking odour. The paint on the door handles is peeling, so is the rear window tint. There’s a dent in the pillar, bumper and tailgate. The driver’s seat is also torn. Odometer reading is – 12,4875 kms, engine size 4, automatic transmission, seats 5, doors 4, front wheel drive, petrol engine. 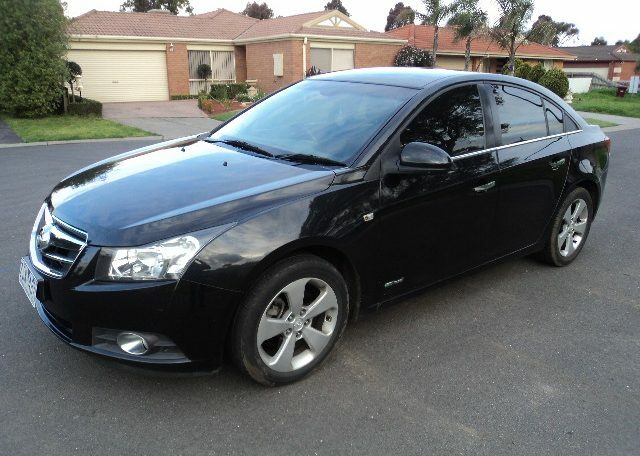 Private online sellers for the 2010 Holden Cruze generally start their asking price around $3,000 and go anywhere up to roughly $12,888. What they will actually get for the car depends largely on the kilometres driven, number of previous owners, availability of service history with regular servicing, features and extras, and general condition of the car. The 2010 has four options including the CD and CDX, either with a 1.8 litre or 2.0 litre engines with manual transmissions running a few grand cheaper in new models. The most powerful option is the 2.0 litre turbo diesel with a 4-cylinder engine that makes 110 kW in power and 320 Nm in torque. -Between 2009 and 2011 there were several recalls of both Australian and Korean made Cruze vehicles due to a faulty drive shaft. This happened again in 2014. -Several reports have been made of oil and fuel leaks. -Several reports have been made of defective rear seatbelts and even brake failures with issues in the disc rotors and front pads. -Get the transmission checked out before buying or selling a Cruze. A problematic transmission is not only costly in itself but contributes to brake wear out. -Take a good long test drive. If you hear excessive rattling, you may be dealing with one of the many Korean-made models that came with build issues. -Many 2010 Cruze owners also reported faulty Air conditioning units that couldn’t cool the air, leak water on the floor, and blew out smelly air. 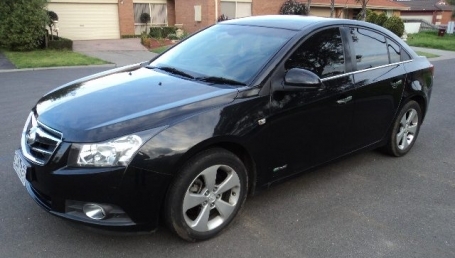 Consumer reports show several more issues with this model of Holden Cruze including consistent and costly repairs, oil leaks, faulty gaskets, crumbling water houses and many more complaints. Some Cruze owners who had excellent service history and low kilometres found little fault with the model and continue to stand by the brand. The upsides to the Holden Cruze are the 5-star ANCAP safety rating, the six airbags, electronic brakeforce distribution, traction control, brake assist and anti-lock brakes that all come with the entry-level option. If you’re mostly a freeway driver you’ll also enjoy the impressive 5.8 litres per 100km fuel consumption rating. If a Cruze isn’t inherently faulty and is well cared for, it just may prove to be a reliable and even enjoy car. Whatever the case, it’s always important to have a thorough inspection from a professional mechanic to ensure you’re buying or selling a safe car. If you’re thinking about Buying or Selling another type of car, check out our Buying & Selling Car Guides over here.